So my camera charger is still missing somewhere in the house and I'm stuck with the moment from using my sister's Iphone to take photos. Really sorry if they look a little blurry and not as good. Miss using my DSLR right now,need to find that charger or got to go purchase a new one. 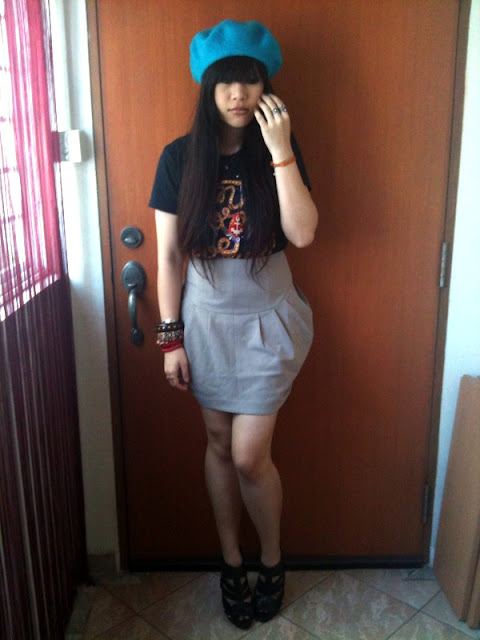 Anyhow,I love berets and even in this hot weather I would never hesitate to throw one on. There will be stares for sure,but I don't bother. And I'm glad to have this shirt on,the design is so adorable and actually spells ' Don't worry,Be happy'. Common you might say,but so true. these dont look iphone photos at all love ! haha..
i do hope you can get your dslr charger soon ! i really hate it when chargers make their way into some hiden spot..
and you look wonderful in that bright colored beret !! Cute! Love the shirt and your jewellery! 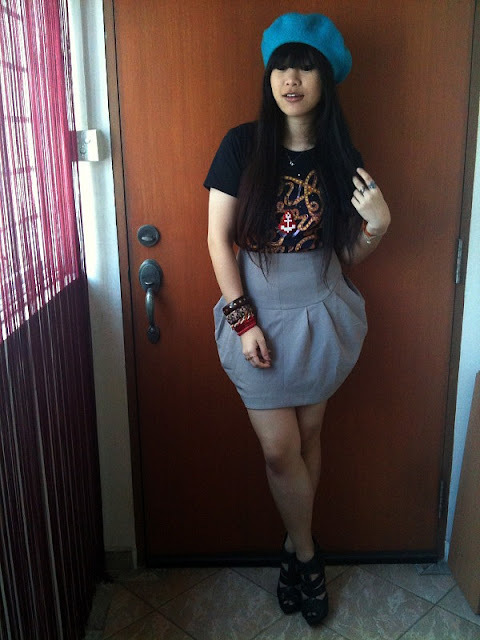 love the skirt it has a great shape... and i love the beret on you.... countdown to your birthday so fun!! cute outfit. 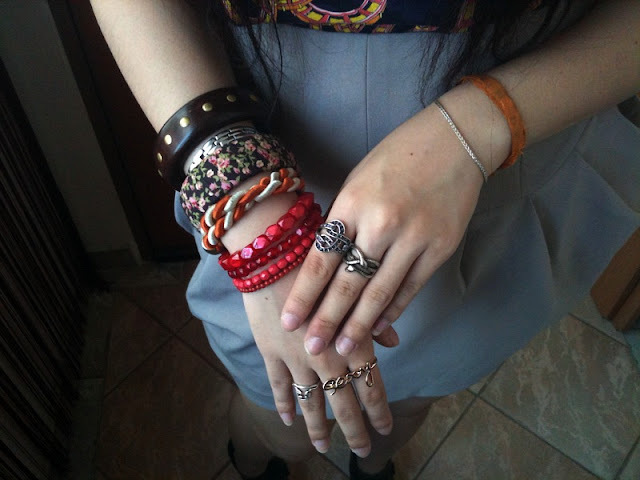 in love with every single piece of your jewelry! 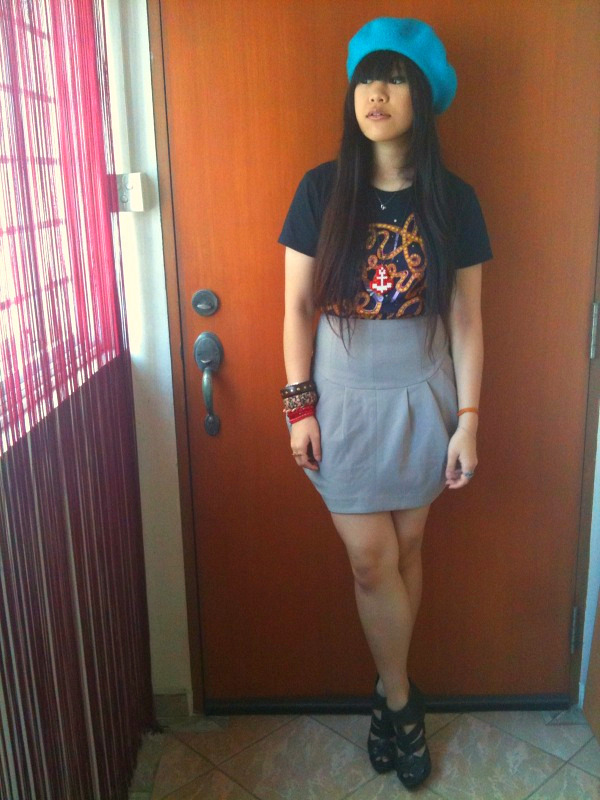 Awesome outfit honey, Really love the berret and the skirt is so chic. haha, I just turned 23 and I also think it's kind of sad, but that's life!